Tabby Oyster Shell Pavers are the newest trend in Hardscape. 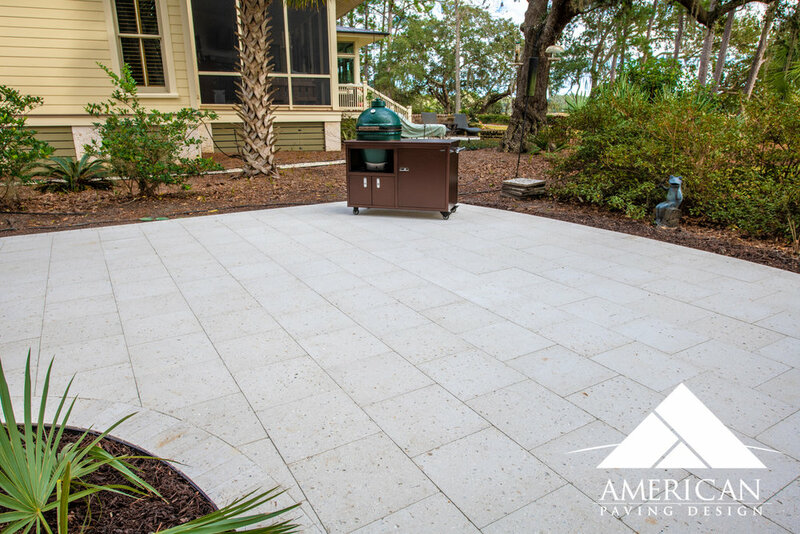 Combining both coastal and tradition design elements, no wonder many of our clients are loving this new paver and it's versatility! Listen to one of our recent clients and his experience with American Paving Design and his excitement for his new tabby inspired patio space! 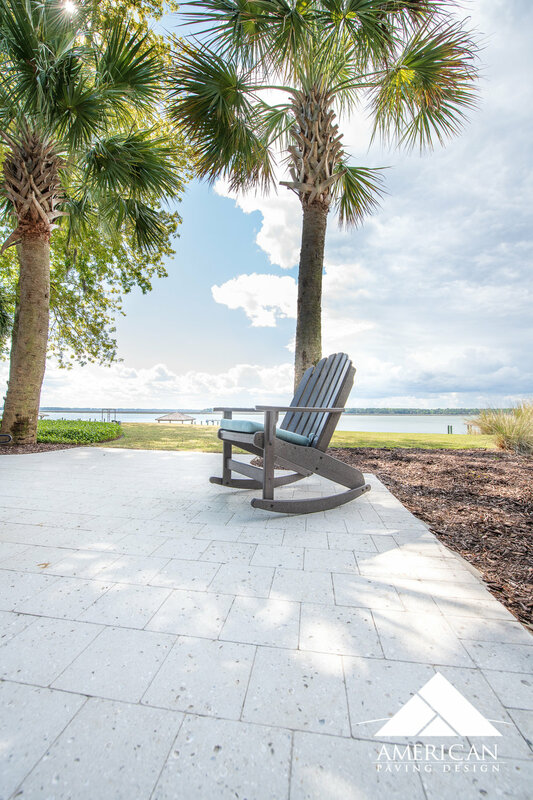 Oyster Shell Pavers have become increasing popular over the past couple of years. These textured, coastal inspired pavers are great for; pool decks, porches, walkways and lanais. 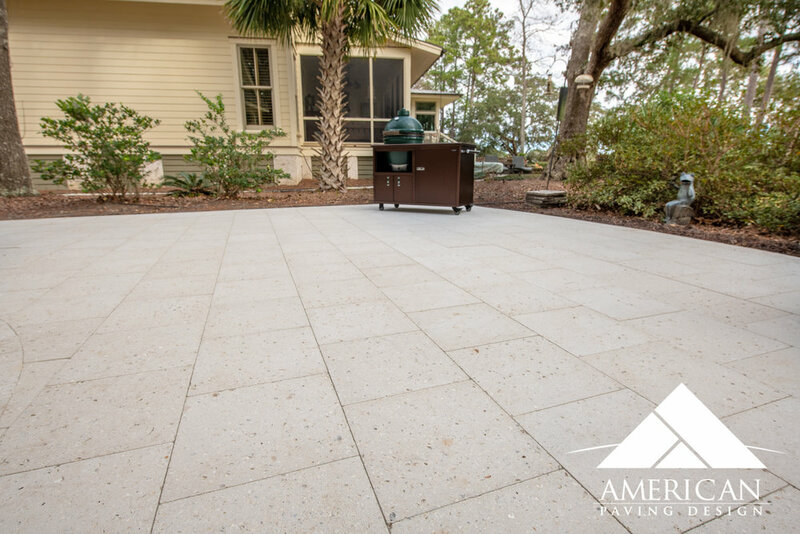 Offered in a variety of sizes and color options, these smooth surfaced concrete pavers contain a mixture of shells and aggregate that create the perfect combination of sophistication. Interested in learning more? Check out some of our highly recommended oyster/tabby style pavers including; Tremron’s Shellstone Paver and Artstic Pavers Shellock Paver. 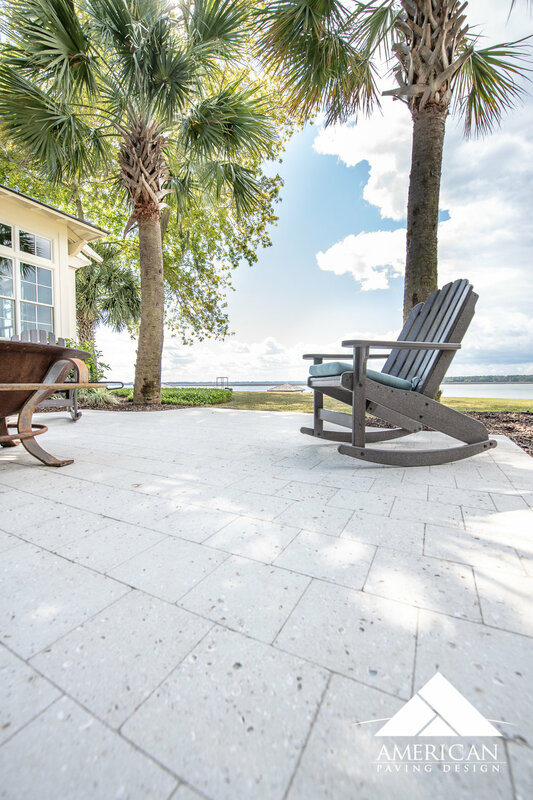 Recently installed in Colleton River, this Tremron, Shellstone paver looks prestine on this waterfront property!